Intel® Xeon® Scalable processors are uniquely architected for today’s evolving data center and network infrastructure — offering businesses the industry’s highest energy efficiency and system-level performance averaging 1.65x higher performance2 over the prior generation. In growing workloads like AI, Intel Xeon Scalable processors deliver 2.2x performance3 over the prior generation. Intel also announced Intel Select Solutions delivering a choice of optimized solution configurations to help speed evaluation and deployment of data center and communications network infrastructure. 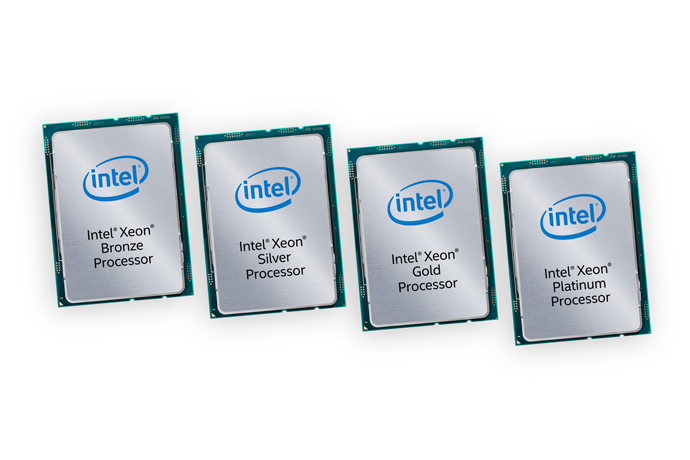 SANTA CLARA, Calif., July 11, 2017 – Intel today launched its new Intel® Xeon® Scalable processors, providing businesses with breakthrough performance to handle compute-hungry tasks including real-time analytics, virtualized infrastructure and high-performance computing. Today’s launch marks the greatest set of data center and network processor advancements in a decade. Today’s general availability announcement follows Intel’s largest data center early ship program with more than 500,000 Intel Xeon Scalable processors already sold to leading enterprise, high-performance computing, cloud and communication services provider customers. Customers will benefit from a dramatic performance increase of 1.65x on average2 over previous generation technology. With 58 world records and counting, Intel Xeon Scalable delivers industry leading performance across the broadest range of workloads. 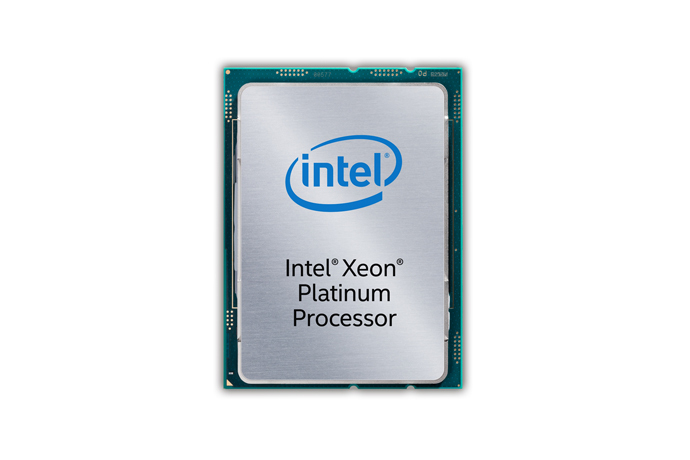 Performance: The Intel Xeon Scalable processors deliver an overall performance increase up to 1.65x2 versus the previous generation, and up to 5x19 OLTP warehouse workloads versus the current install base—accelerating today’s modern-day workloads including modeling and simulation, machine learning, HPC and digital content creation. 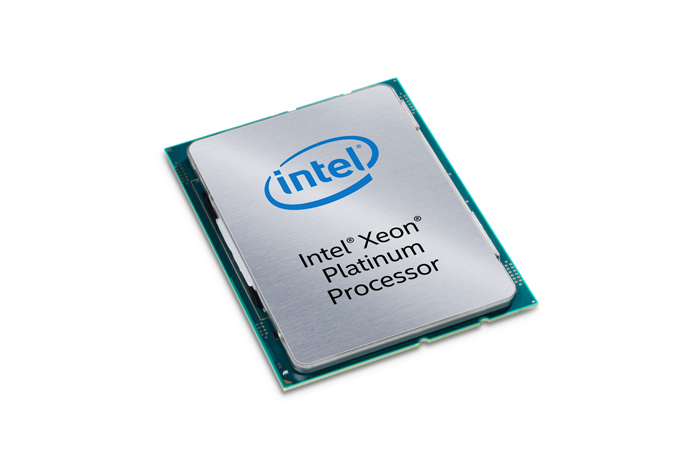 These significant performance gains are enabled through new features such as Intel Advanced Vector Extensions 512 (Intel AVX-512), which boost performance of computationally intensive tasks, a new Intel Mesh Architecture for reduced system latency, Intel QuickAssist Technology for hardware acceleration of cryptography and data compression operations and integrated high-speed fabric with Intel Omni-Path Architecture for cost-effective deployment of HPC clusters. Security without Compromise: Data protection through full encryption has long carried a significant performance overhead. Application can now run with less than 1 percent16 overhead with data-at-rest encryption turned on. 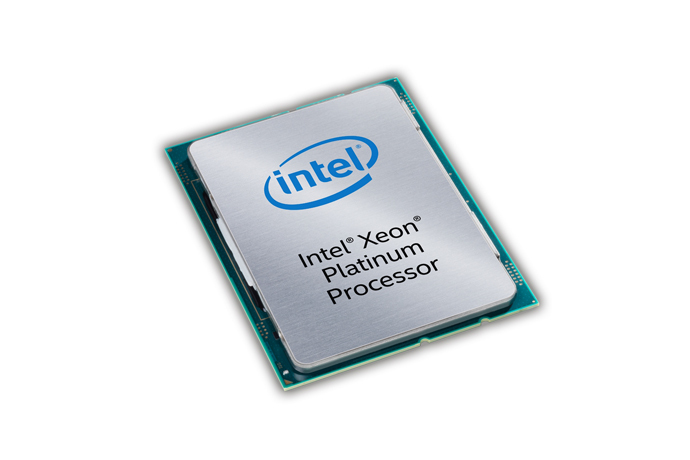 The new Intel Xeon Scalable processor also delivers a 3.1x performance18 improvement generation-over-generation in cryptography performance. Intel has extended processor security features with Intel Key Protection Technology delivering enhanced protection to security key attacks. 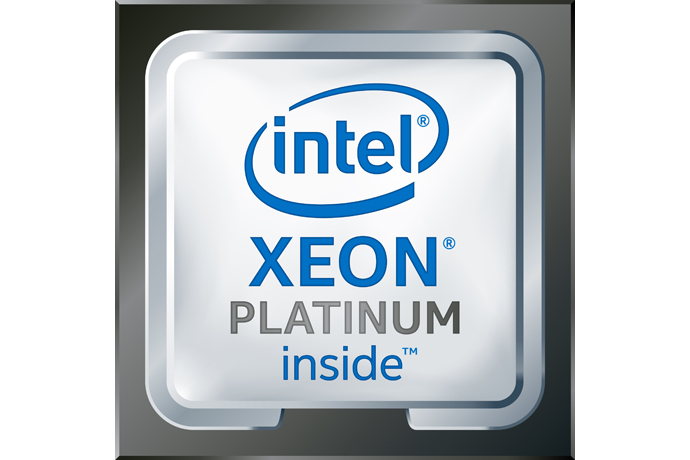 In addition Intel Xeon Scalable is designed to secure the platform with further advancements in hardware root of trust. Intel also introduced Intel Select Solutions, a solutions brand aimed at simplifying and speeding the deployment of data center and network infrastructure, with initial solutions delivery on Canonical Ubuntu*, Microsoft SQL 16* and VMware vSAN 6.6*. Intel Select Solutions is an expansion of the company’s deep investment in Intel Builders ecosystem collaborations and will deliver a choice of Intel-verified configurations to the market, enabling customers to speed return on investment in Intel Xeon Scalable processor-based infrastructure for user-prioritized workloads. 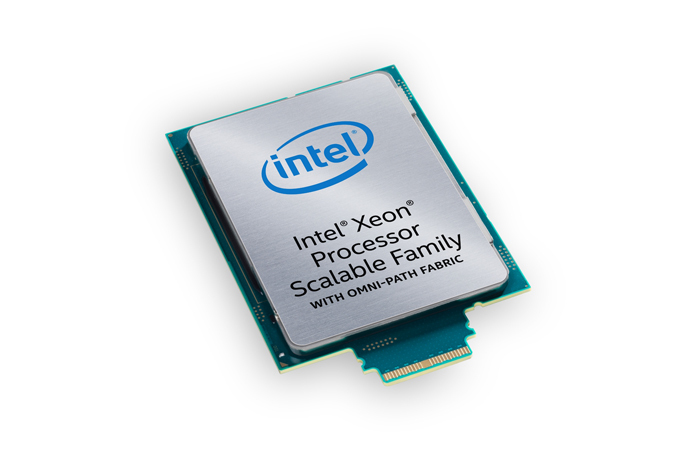 Uniquely architected to help customers accelerate the deployment of cloud infrastructure, transform communications networks and unleash artificial intelligence, the Intel Xeon Scalable platform is supported by 100s of ecosystem of partners, more than 480 Intel builders and more than 7,000 software vendors to drive software optimizations that take advantage of the platform. 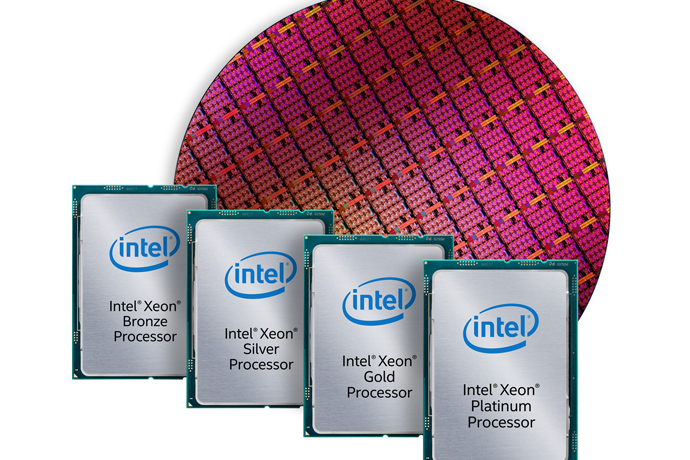 The Intel Xeon Scalable processor has received broad support from a variety of companies, including Amazon*, AT&T*, BBVA*, Google*, Microsoft*, Montefiore*, Technicolor* and Telefonica*. 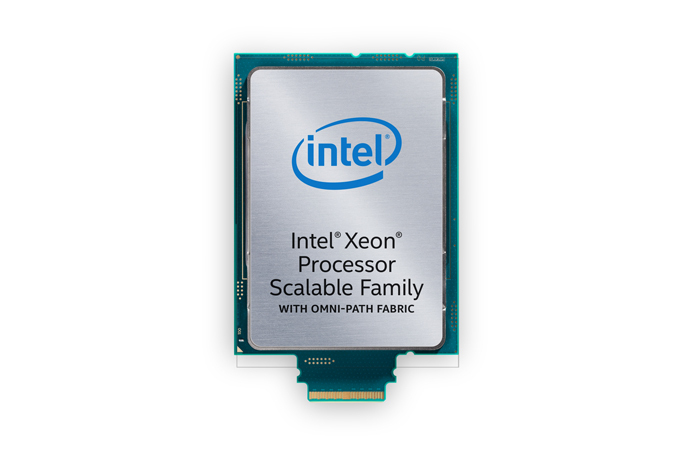 Learn more about the innovations Intel is bringing to the data center with the new Intel Xeon Scalable processors, Intel Select Solutions, by visiting www.intel.com/xeonscalable, or visit http://launchevent.intel.com to experience a deep dive into the platform. For more complete information about performance and benchmark results, visit http://www.intel.com/performance/datacenter or www.intel.com/benchmarks.